With the full title of Lyon-Saint Exupery, this airport is approximately 13 miles from the actual city of Lyon. It was renamed in 2000 to honour the French writer and pilot Antoine de Saint-Exupery who was a native of Lyon. He died in the Second World War and it was the centenary of his birth in the year 2000. 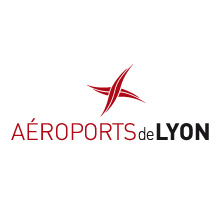 The current Lyon airport was opened in 1975 to replace the Lyon-Bron airport which could not be extended due to being situated in an urban area. It provides an important transport facility for the whole Rhones-Alpes region and is currently France’s fourth busiest airport after Charles de Gaulle, Orly, and Nice. The fan shaped canopy of the attached train station gives Lyon it’s most notable architectural feature. British Airways, Aer Lingus, Easyjet and bmi all fly here from the UK. Transfer times to the vast majority of ski resorts are longer from here than the other local airports.